Swedish Massage - The most commonly used massage techniques in the United States are based on Swedish massage techniques, which apply the use of five styles of long, flowing strokes for massage. The five basic strokes include motions of gliding, kneading, rhythmic tapping, friction and vibration. Swedish massage is quite helpful in decreasing pain, stiffness in the joints and improving function in clients who suffer from osteoarthritis among other chronic inflammatory conditions of the soft tissues and joints. Swedish massage is also helpful to improve overall circulatory and lymphatic function. Deep Tissue Massage - Uses a variety of techniques to work on the deeper layers of muscles that are commonly involved in chronic pain conditions, scar tissue and myofascial adhesions. So often deep tissue massage is thought to be a lot of pressure but it is more rightly associated to appropriate pressure on deeper tissues. Deep pressure has it's value however not all deep tissue work requires painful pressure. A good session of deep tissue work should be accompanied by warming strokes to allow the deeper tissues to be accessed without damage, allowing for greater functional recovery with less pain. Commonly a therapist utilizing deep tissue techniques will use thumbs, knuckles, forearms and elbows to release the deeper tissues. It is possible for everyone to have deep tissue work accomplished but only by a therapist with proper training, healing intention and compassion towards a client's results. Sessions can be intense but should not leave residual discomfort except for general soreness, similar to what a regular work out at the gym creates. Deep tissue work releases stored toxins and lactic acid into the blood stream and these are omitted from the body through the kidneys and finally the urine. It is so important for client's success to drink half their body weight in ounces during treatment sessions. Drinking pure H2O is a key to balanced health and wellness in general and should be taken very seriously in any wellness plan. Cross Fiber Massage - Commonly thought of as a singular use technique for the treatment of trouble areas, Cross Fiber Massage is actually a complete full body technique. Designed to release abnormal muscle spasms that affect the circulatory, neurological, and orthopedic functions of the body, Cross Fiber Massage can be more effective than traditional deep tissue massage because of its specificity and focus on trouble areas of connective tissue, dealing with the full body. The technique if done in total, could take up to 3 hours to engage a full body session. It is thorough and encourages decreased spasticity, increased range of motion, healing of stagnant tissue areas, detoxification, lymphatic function, deeper tissue healing, connective tissue recovery, the breaking down of scar tissue along with the quickened healing of nerve function. Cross Fiber Massage Technique was developed by Marge Kapsos and is currently being taught by Suzanne Getz out of Lopez Island, WA. C.C.D.T. 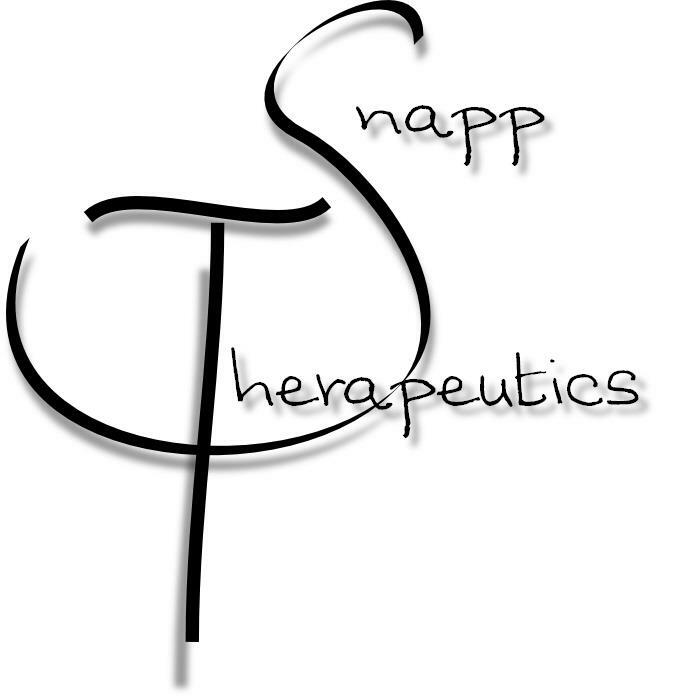 - Unique to the Snapp family, only a small number of therapists around the country have any significant training in C.C.D.T. This technique is a total approach to recovery after neurological and developmental traumas such as cerebral palsy, brain injury, post polio syndrome, autism spectrum, spinal cord injury and more. The technique incorporates the use of environmental and sensory patterns of developmental memory to allow functional aspects to be reprogrammed after a trauma to the brain or nervous system. The body is gently approached and encouraged to change by subtle movements and patterns that were similarly experienced in prenatal development. When the body relates to these genetic patterns, it accepts the information and recoordinates the abilities back into the nervous systems function allowing the recovery of lost function. Thai Yoga Massage - Combines facilitated stretching with diverse tools like elbows and feet, to relieve pain, improve mobility, and create length and spaciousness. (Taken from the definition from my educators in the method at National Bodyworker Seminars) Thai Yoga Massage combines basic Yoga poses, Thai massage and traditional massage techniques for a valuable and unique session that is intense and therapeutic for the receiver and the giver alike. Commonly done on a mat on the floor while clothed in exercise apparel. This technique gives an added dimension to your bodywork experience. Trigger Point Therapy and Myofascial Release Techniques - When considering the treatment of pain, I combine these techniques so I will define them as one. Trigger points develop in the myofascial system of the body that surrounds all of the muscles of the entire body. It (myofascia) is described as a web, though I think of it as a protective layer that allows the muscles to work independently and in harmony at the same time. Trigger points are the result of the fascia becoming adhered to itself between muscle tissues, kind of like Saran Wrap sticks to itself. When we have injuries or stress related to trauma, our body may turn that into scar tissue and that can become a real pain problem. These traumas can be as simple as poor posture over a long period of time. Trigger points are most effectively released by addressing both the point that seems to be causing the pain and the myofascial system itself. Most people have some myofascial adhesions that will lead to pain or limitations, especially when dealing with neuro-traumas, chronic pain, and sports injury. Myofascial and trigger point work requires a nice warming up of the tissues and some nice deep stretching of the layers of the tissues as well. It is usually deeply relaxing but can create some discomfort, though can relieve pain very quickly and for long periods of time. This treatment is commonly done on one or two parts of the body in a session and is rarely a full body session.